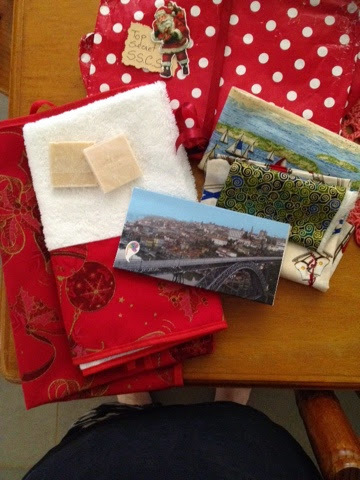 I sent to Carol, in America. 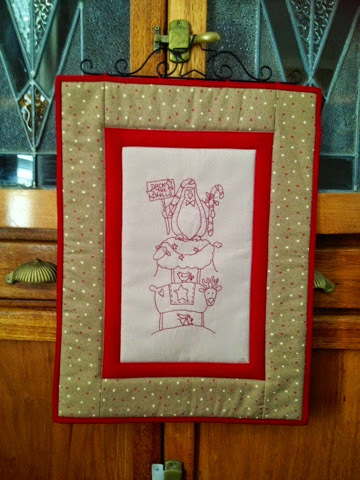 I love doing stitcheries and had noticed some redwork on Carols' blog. A friend had recently given me this pattern...I changed it a bit..lol and made this. 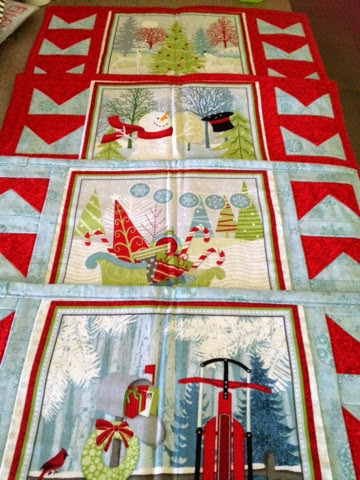 I love the border fabric, it's from Annie Downs 2014 Christmas range....my favourite designer!! 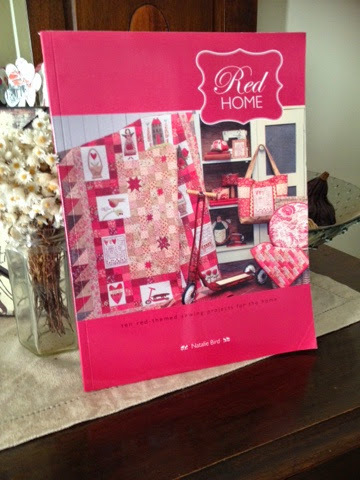 Added one of my favourite books too, sharing the Australian love...Natalie Bird, "Red Home"...I hope Carol loves it! Indeed it is a pretty piece. I just love it! BTW, I was cleaning my sewing room today, a good cleaning/vacuuming and noticed the book you sent me as part of the gift. Goodness, totally forgot to thank you for that! I love Aussie designers and the book is perfect. Thank you so much for being my secret Santa! Cheers!